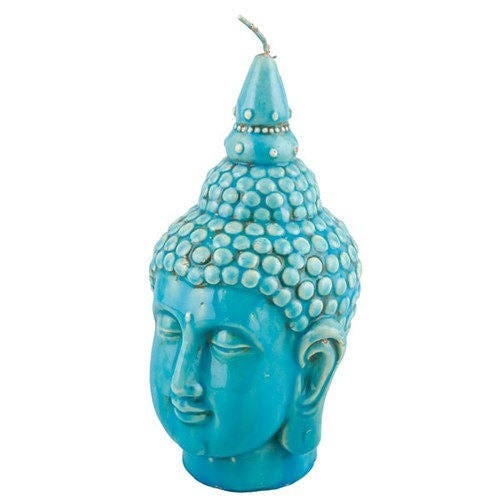 Beautiful Buddha of ceramic like finish in turquoise and incredible detail. 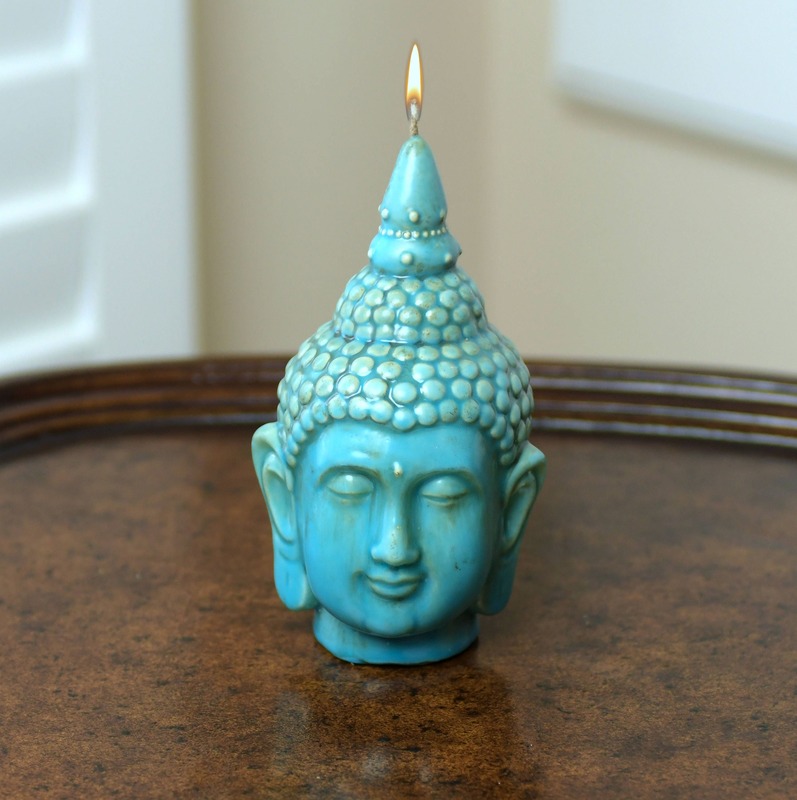 You can use it as a Buddha head statue to decorate your yoga room, meditation room, or your home. 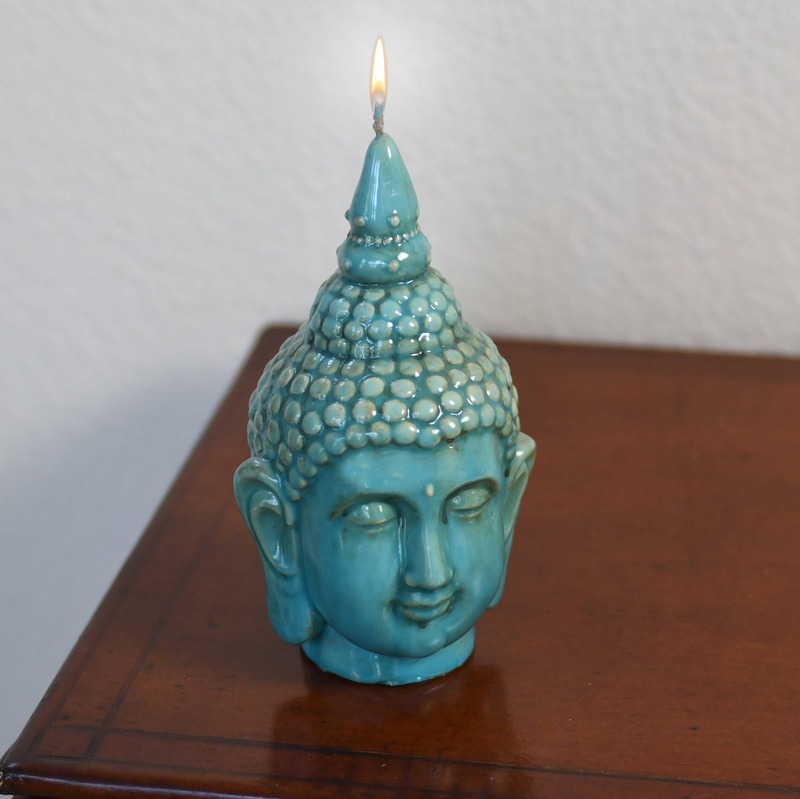 Pair up with one of our Lotus Flower Candle holders. Please check the details and finish of the candle. 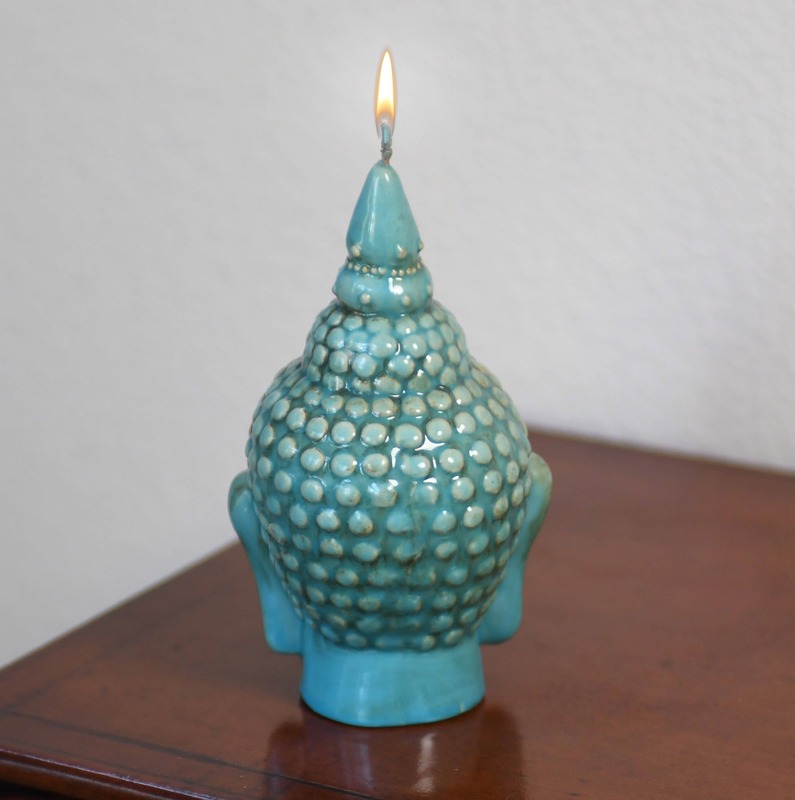 Just gorgeous ceramic like finish adorns this piece. You will probably never want to light this one!